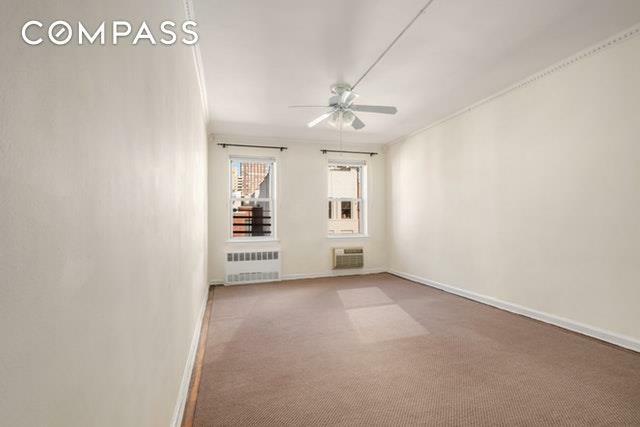 Fabulous top-floor studio with LOW MAINTENANCE in a pristine elevator, doorman building... less that one block from the Second Avenue Q Train!This bright studio features high ceilings with crown molding, original hardwoods and through-the-wall air conditioning. 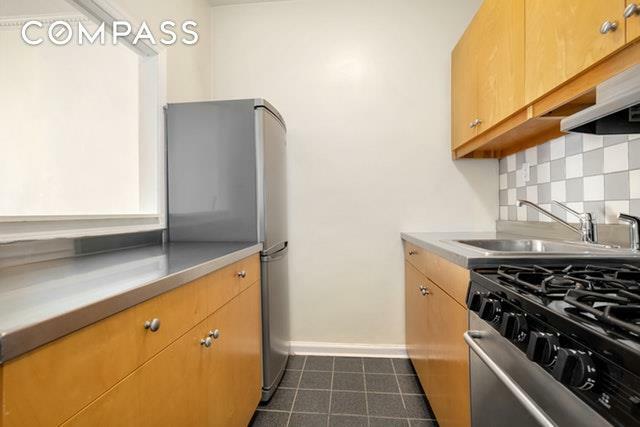 The renovated pass-through kitchen includes full-sized stainless steel appliances with abundant counter and storage space. 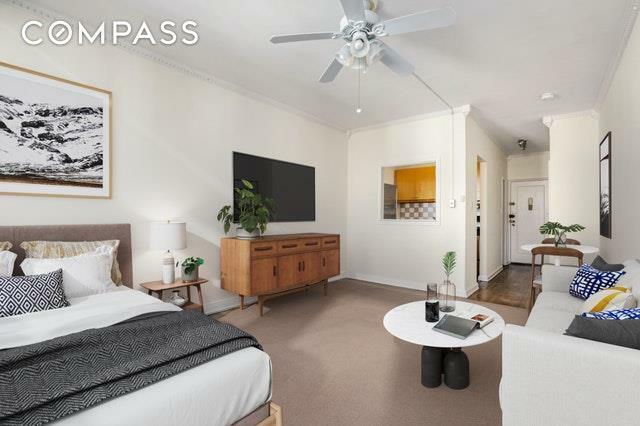 330 E 83rd Street is an impeccably managed building with a live-in super and part-time doorman (M-F, 2-10pm), renovated lobby and hallways, elevator, laundry and storage rooms, and video intercom Smartphone system. After two years of residency, the building permits subletting for 2 out of every 4 years. 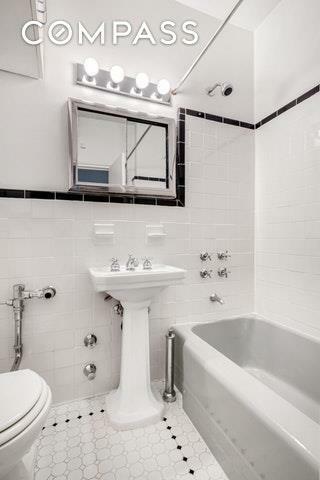 Located in one of the Upper East Side's most convenient neighborhoods. Moments away from fantastic restaurants, museums, gourmet food stores, Whole Foods and Fairway supermarkets, and retail shopping.The East River Promenade, Carl Schurz Park and Central Park are all just a stone's throw away. Easy access to the Q and 4/5/6 trains as well as the M15 and M86 Select buses. Co-purchasers, guarantors, and pied-a-terres permitted. Sorry, no pets permitted.